How Nova Cash Flow Finance Work? At Nova Cash Flow Finance (NCFF) we understand the importance of Small Business (SME’s) to the Australian economy. We don’t just pay lip service to it. Our maxim – “If your bank can’t do it then we probably can” rings true every day of the week. Learn more about Cash Flow Finance options today. Click Here - Your Solution is Ready! Why Make An Application for Cash Flow Finance with us? Since commencing business with Nova Cashflow Finance, their service has been impeccable, always working with our staff to meet deadlines and meet business requirements. The team at Nova Cash Flow Finance are easy to work with and have excellent interpersonal skills. 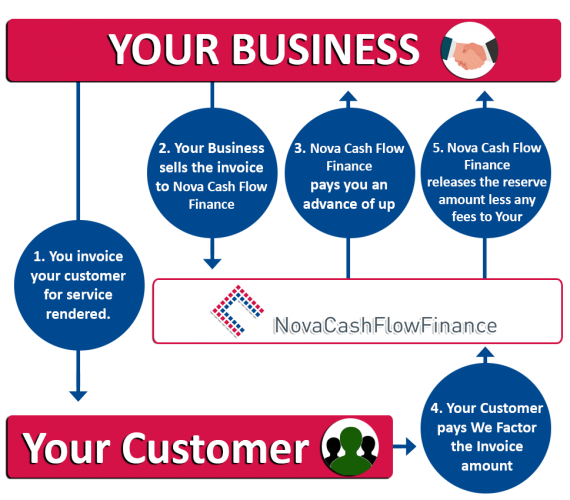 Nova Cashflow Finance have a user friendly online interface which allows us to submit invoices, download reports and update customer information with ease. I don’t think I could operate my business without Nova Cash Flow Finance. They turn my loads into cash and keep my wheels rolling. Cash is King in our business and Nova Cash Flow Finance have solved our cash flow problems more than once. It’s one of the best moves we have ever taken. Nova Cash Flow Finance have been a big help in our business. Keeping the cash flowing and helping us to pay our bills and grow our business. If you have any Cash Flow Finance or Working Capital requirements, feel free to contact us on 0467 299 303 or email us at operations@nbf.com.au.